The former Marine Aftermarket Accessories Trade Show makes its debut as a component of the International BoatBuilders&apos; Exhibition and Conference this year, and Soundings Trade Only has signed on as the official sponsor of the new MAATS Aftermarket Pavilion. "IBEX is a must-attend event for the growth and success of every boating business, so we&apos;re thrilled that Soundings Trade Only will be a key sponsor ... helping to further communicate to the industry the value in attending one of the industry&apos;s most influential events," says Carl Cramer, IBEX co-director and publisher of Professional BoatBuilder magazine, which co- sponsors the show with the National Marine Manufacturers Association. 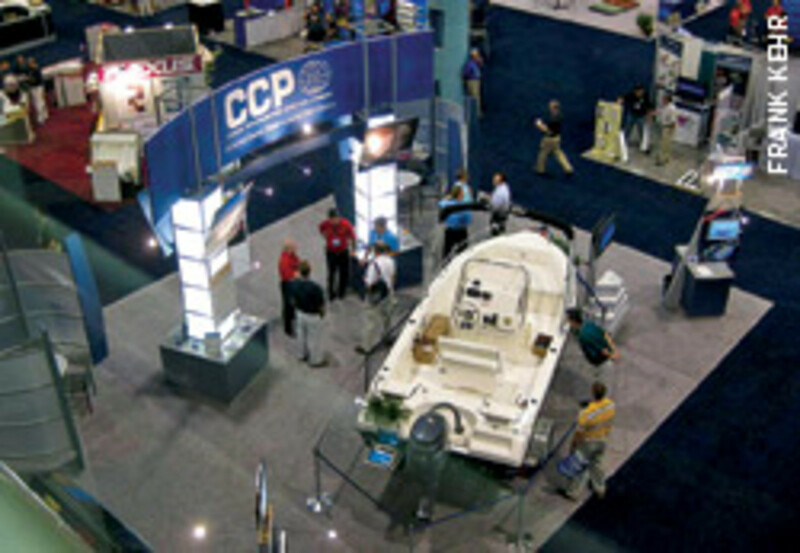 Set to take place Sept. 28-30 for the first time at the Kentucky Exposition Center in Louisville, the industry&apos;s largest trade show features boatbuilding technology and aftermarket products from more than 500 manufacturers, as well as opportunities for strategic discussions, business reviews and negotiations with suppliers. IBEX 2010 also will include more than 60 seminars and 20 hands-on workshops designed to introduce new technologies, products and services to dealers and distributors. "The new venue and the addition of the MAATS Aftermarket Pavilion have only increased the value, utility and importance of the already well-established IBEX event," says Bill Sisson, editor of Soundings Trade Only. "We look forward to keeping the entire industry well-informed of what takes place at the largest marine trade gathering in North America." Dean Waite, advertising director for Soundings Trade Only, says the publication is pleased to partner with IBEX and MAATS, and its sponsorship is a "good way for us to give back to the industry and help launch the new MAATS Aftermarket Pavilion." A special section scheduled for the September issue of Trade Only - "Boatbuilding and Aftermarket 2010" - will further solidify the partnership, according to Waite. "We&apos;re looking forward to working with marine companies from all aspects of the industry to make the 2010 IBEX - and MAATS Aftermarket Pavilion - the most successful ever," Waite says. Show hours are 10 a.m. to 6 p.m. Sept. 28 and 29, and 10 a.m. to 4 p.m. Sept. 30. For information and to register, visit www.ibexshow.com.